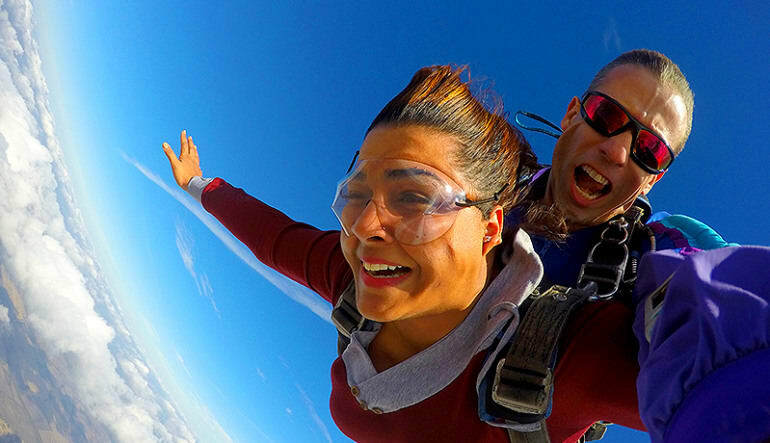 Go tandem skydiving just outside of Dallas city limits with an experienced tandem master and have the time of your life. 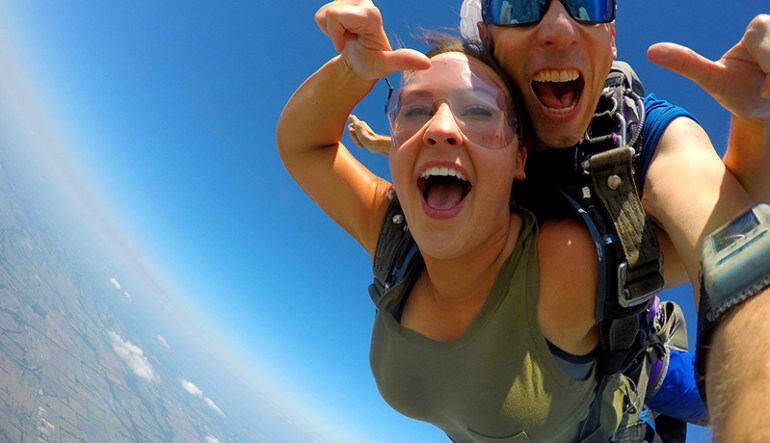 Go tandem skydiving just outside of Dallas city limits with an experienced tandem master and have the time of your life. Upon arrival you will partake in a brief training class and meet your tandem master who will be with you for the whole experience. After the training session it is time to head up to altitude of 13,500 feet. From this height you will be able to view Lake Hubbard and the Dallas skyline. No waiting on the day! 70 second freefall at 120mph! Now that you are nearly 2.5 miles above the ground, it is go time! You and your tandem master will be harnessed together and gently fall out of the aircraft, quickly reaching speeds of 120mph for a freefall time around 60 seconds. 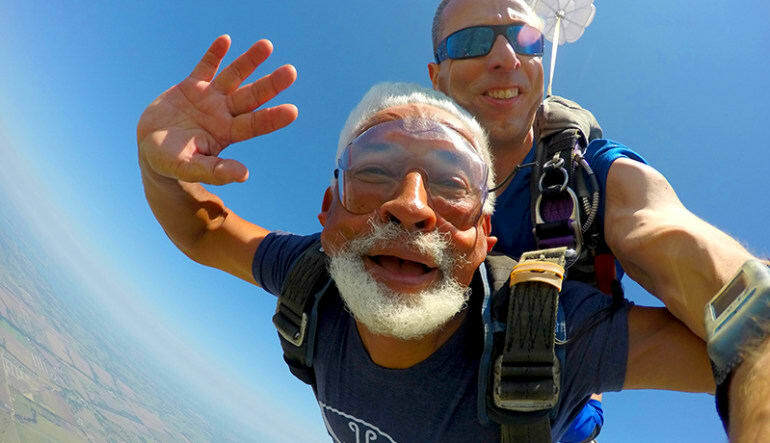 At about 5,000ft your tandem master will deploy the parachute and from there you will enjoy a serene canopy ride back to the dropzone. Be sure to take a look around, because the sights from up there are amazing. Was my first time using Adrenaline but after the awesome experience it will NOT be my last!!! Thank you all so VERY much!!! 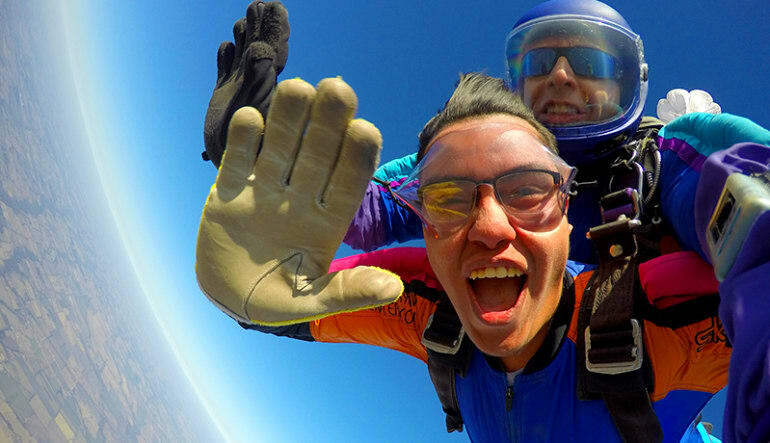 Our instructors are fully licensed and have each logged thousands of jumps.